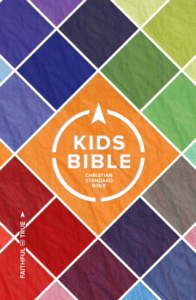 We’re all about connecting parents and kids to each other and to God’s Word here at B&H Kids. Enjoy a Parent Connection at the end of many B&H Kids books to help you discuss the book’s message with your kids and browse all Parent Connections as PDFs here. Singer-songwriter—and now author—Ellie Holcomb ​began her musical career touring the country with her husband in the Americana band Drew Holcomb and the Neighbors. Her honest voice and rich lyrics shined on her first solo album and deemed her the Best New Artist at the 2014 Dove Awards. In 2017, she followed with the restorative, hope-inducing Red Sea Road. Ellie, her husband, Drew, and their three children live and make music in Nashville, Tennessee. Aaron Linne, Dennis Edwards, P23 Entertainment Inc.
Dennis Edwards, Mike Nappa, P23 Entertainment Inc.